When using an HDMI cable across a longer distance, there is a risk that signal quality will suffer. To counter this risk, purchasing boosted HDMI cables can deliver a higher quality signal across a further distance. Our boosted HDMI cables are available at lengths of up to ten metres and contain a boosted signal chipset. This means 4k signal can be pushed across a further distance without impacting quality. Euronetwork has a great range of boosted HDMI cables that can allow gamers, film fans or television watchers to enjoy the highest quality levels when their audio-visual devices are a long distance from the monitors or screens. Our range includes cables capable of producing 4K content @ 18gbs and 60Hz thanks to an embedded chipset that is built into the cable. This means the signal is boosted to reach the 4K2K mark. If you’re keen to buy boosted HDMI cables from Euronetwork, then good news. 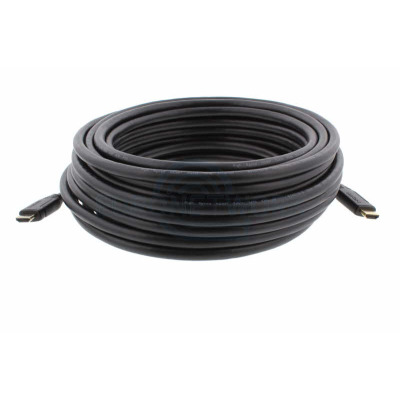 You can pick up HDMI cables in bulk from Euronetwork with ease and save money at the same time. As well as our selection of boosted HDMI cables, we also have standard 4K HDMI cables, premium 4K2K HDMI cables and Panel Mount HDMI cables for you to buy from our online store. 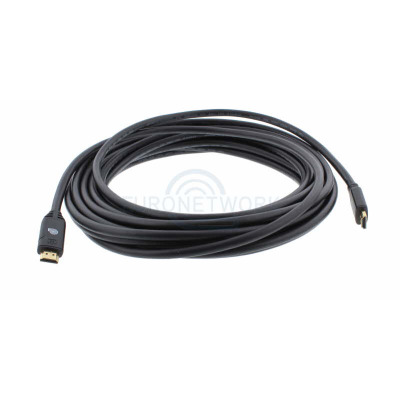 Let Euronetwork meet your HDMI cable needs. Shop from our online store and get hold of high-quality cables and leads from Euronetwork today. If you have any questions, get in touch. We are available via telephone on +44 (0) 1908 371909, or drop us an email on sales@euronetwork.co.uk.